Blurb Description: There will be plenty of time for me to beat him soundly once I’ve gotten what I came for. When I first read about this on Netgalley, I remember not reading the synopsis and basing my NEED to read this book purely on the title alone. I guess that’s why it took me SO LONG to bring it to the top of my lung crushing, bookworm drowning TBR pile but now that I finished it, I AM SO SO HAPPY THAT I HAD THE OPPORTUNITY TO READ THIS BOOK BECAUSE IT IS EASILY ONE OF THE BEST I’VE READ THIS YEAR! 2. ALL THAT BANTER: One of the things I loved the MOST about this book was THE EASY, sometimes sassy, sometimes flirty banter that Tricia Levenseller managed to create that made a book about pirates, mythical sea creatures, hostages and treasure SO MUCH MORE FUN. (If that is even possible) SERIOUSLY. Some AMAZING DIALOGUE. 3. 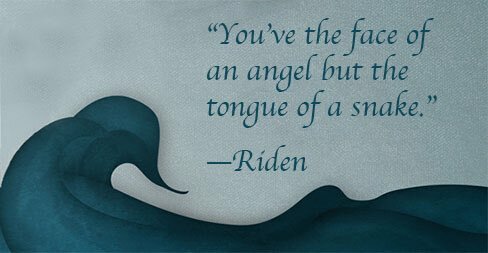 ALL THAT FLIRTING: I LOVED LOVED Riden and Alosa together. It was such a FUN, refreshing romance with NO PINING, all honour, attraction and flirting and I LOVED IT. (Yes, I have used the word ‘love’ about 36,289 times in this review already) I loved the kissing scenes, I loved the turmoil that went through Alosa’s head during those moments, and I loved them. I cannot WAIT to see what book two does with them. 5. ALL THAT ALOSA KALLIGAN: Move over Celaena Sardothien, MY NEW FAVOURITE BADASS FEMALE CHARACTER IS HERE. This girl takes NO NONSENSE, has ALL THE SASS AND THE BRAINS AND THE FIGHTING SKILLS and well, I LOVED LIVING IN HER HEAD FOR A FEW DAYS. There was NOTHING AT ALL WRONG WITH THIS BOOK. In fact, IT WAS SO PERFECT I COULD CRY. 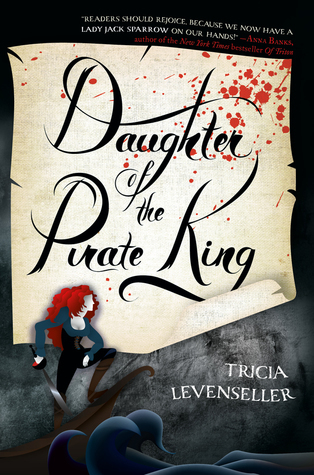 A fast paced, swashbuckling tale with an amazing cast and ALL THE GIRL POWER. I’m so in love, all I want to do it read it again. 5 stars. What is you FAVOURITE Pirate Book/ Movie? Who is your favourite badass female character? 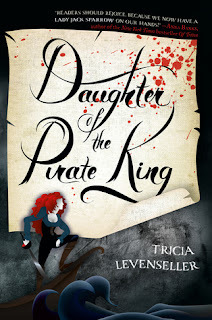 Have you heard of/ read Daughter of the Pirate King? Is it on your TBR? I can't wait to chat with all you lovelies!